Your U.S. national site selection portal has been completely redesigned for 2016. 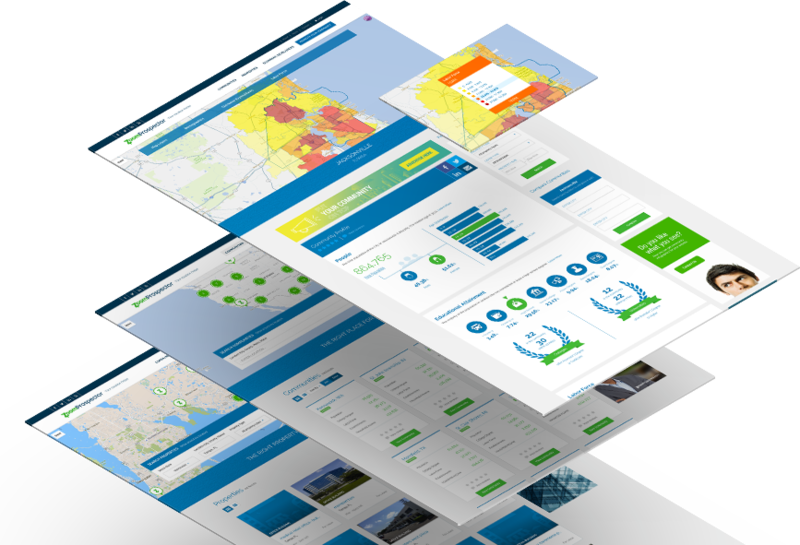 It's user-friendly, mobile-optimized, media-rich and offers more easily accessible and visualized data for GIS location research and analysis than anything else on the market. Site selectors and investors have always turned to ZoomProspector.com for robust, high-quality that drills all the way down to the zip code level, because that's what's needed to make location decisions. And because anyone can use the portal to research communities, sites and properties for free, there is no barrier for site selectors and investors seeking new locations. Start up. Expand. Relocate. Invest. Robust data to help you choose the right location. Economic developers will appreciate the variety and depth of data offered for their locations, as well as attractive visualizations such as heat maps, infographics, charts and graphs. 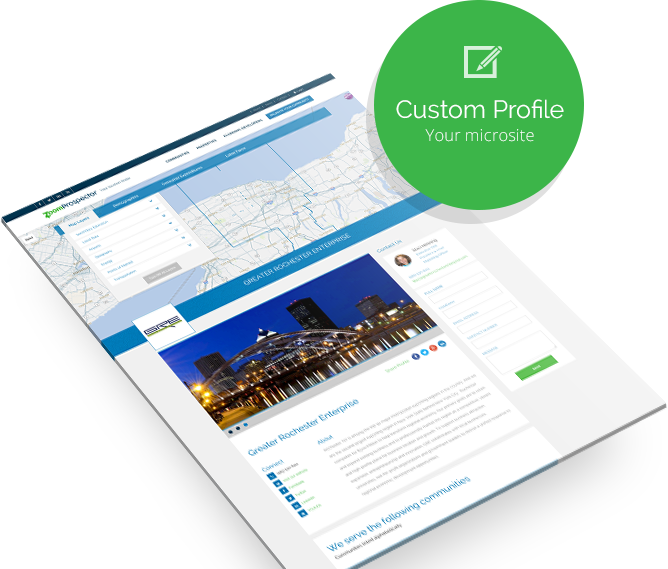 Sign in to set up your own Economic Development Organization (EDO) Profile, with additional data, customizable tabs, opportunities to add copy, links back to your website, contact information, photos, videos and local GIS data. 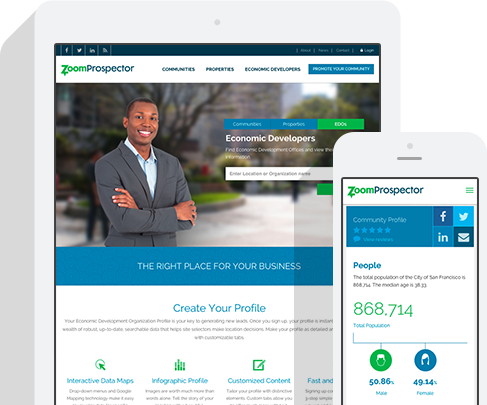 ZoomProspector Enterprise clients will enjoy having their sites and properties automatically uploaded to ZoomProspector.com. 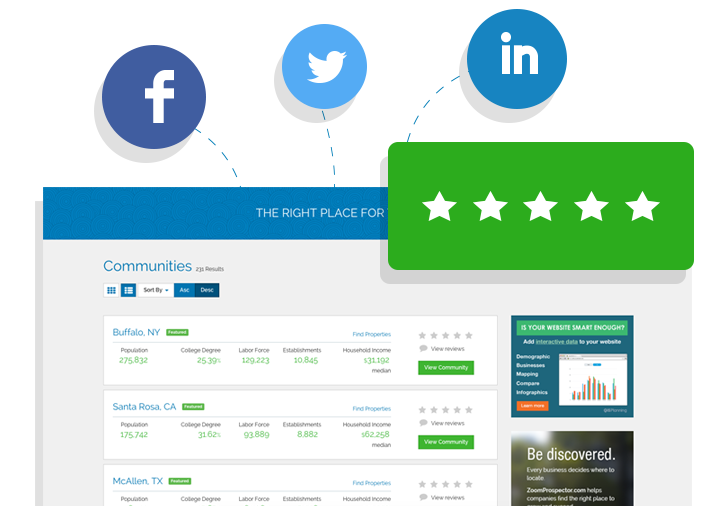 The all-new ZoomProspector.com national site selection portal has fully integrated social media sharing. Website users can share data and graphics on LinkedIn, Twitter, Facebook and more. Start conversations and boost engagement with our new moderated comments and review features.